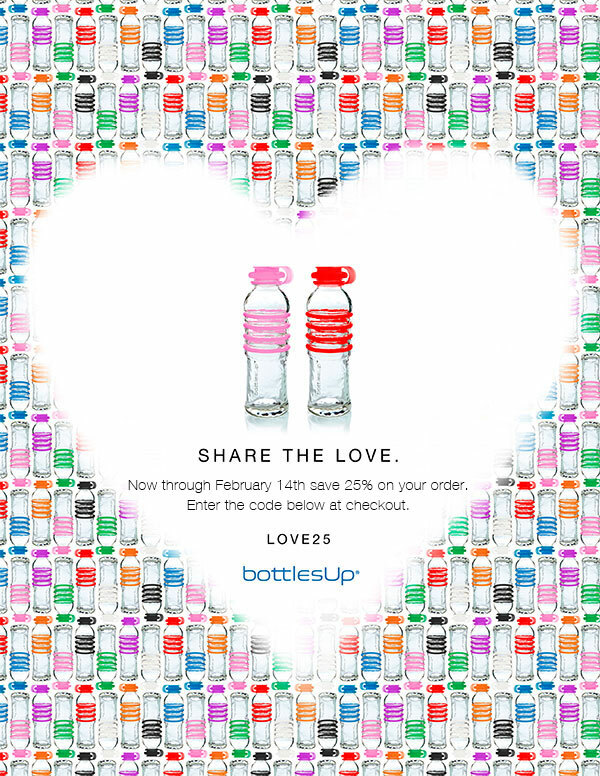 Through February 14th – 25% OFF on any order! Save on shipping – Get one for yourself, too! Just enter the code LOVE25 at check out. Free Gift Wrap – Opening our beautiful glass water bottle wrapped in bright RED Eco tissue is sure to please. Mix it up with a bag of Tuti Fruti rings, one of each color, only $5.00. * Gift pair orders ship to a single address.